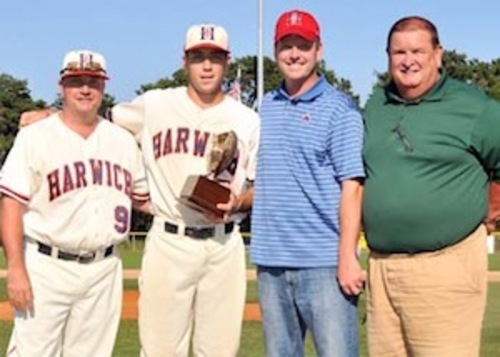 Adams enjoyed much success this summer, scoring a spot on the victorious 2015 East Division All-Star team and receiving Harwich's most valuable player award, the Marty McDonough MVP. Adams, who had three home runs this season for the Mariners and ended his season with a .218 batting average, is a Walpole, Mass., native attending BC. Although his Mariners didn't make the playoffs, Adams had a great season and was clearly a valuable member of the team as well as the Cape League as a whole.